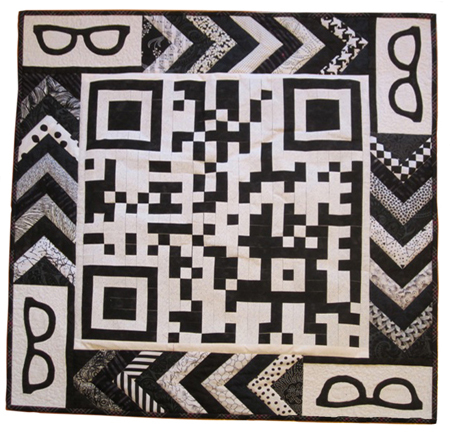 I made the first QR code quilt for my son Paul at www.bonesteelfilms.com. 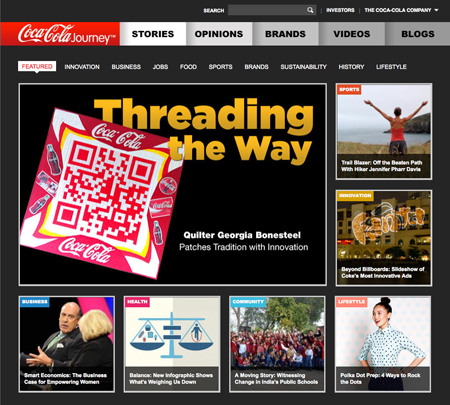 Georgia Bonesteel’s CocaCola QR Code Quilt on CocaCola’s blog. 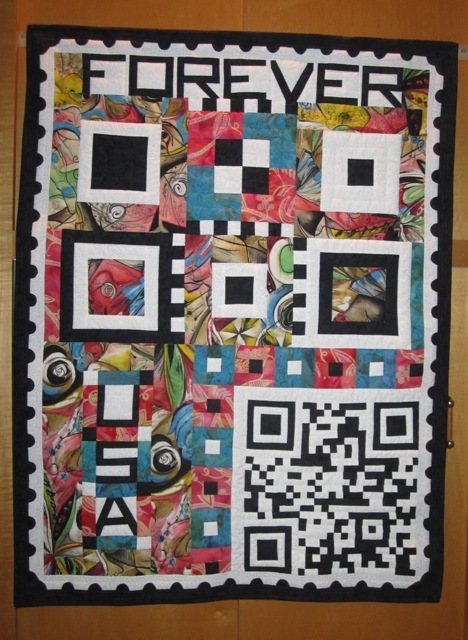 I also did one for my own website that is called “Patchwork Forever.” This was part of a stamp challenge with my PTA (Professional Textile Artists) groupies – we developed some cool stamps! That group includes Mary Stori, Judy Simmons, Linda Cantrell, and others.